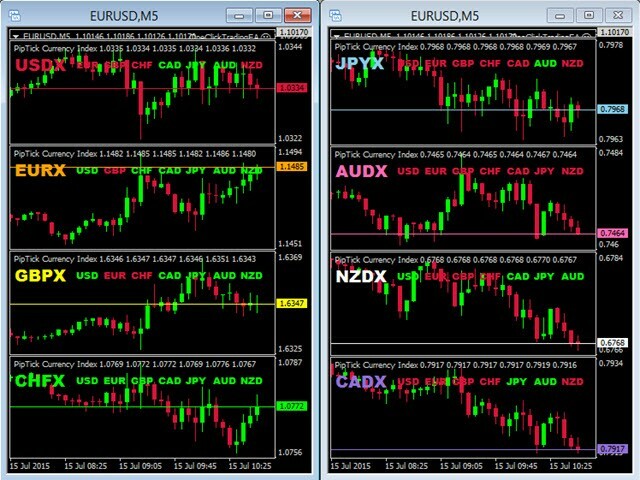 PipTick Currency Index is a really helpful tool that enables traders to display any index of eight major currencies. 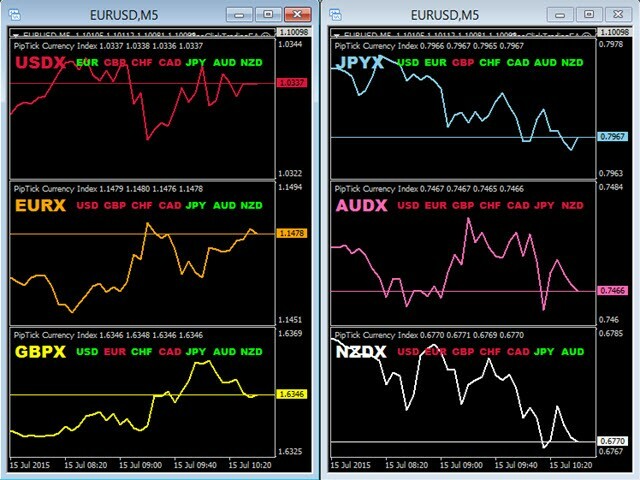 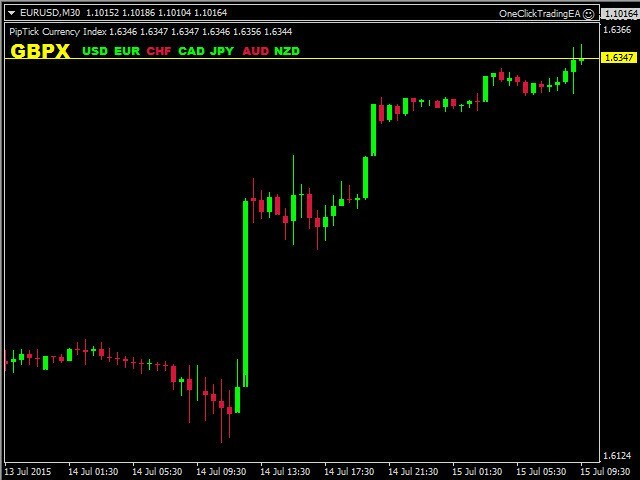 The indicator uses the unique calculation formula that reflects actual volume of forex market. 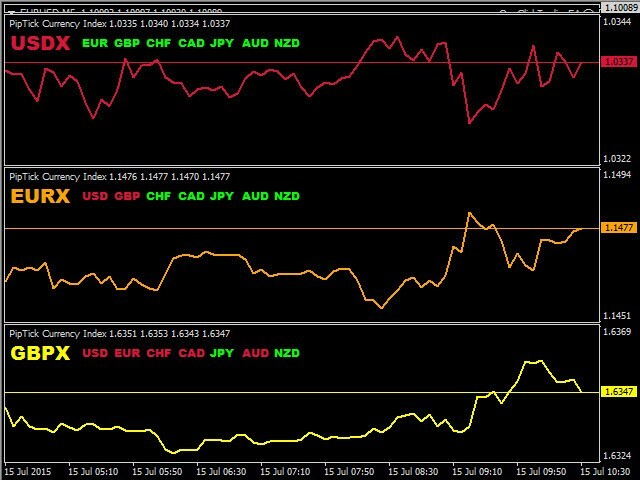 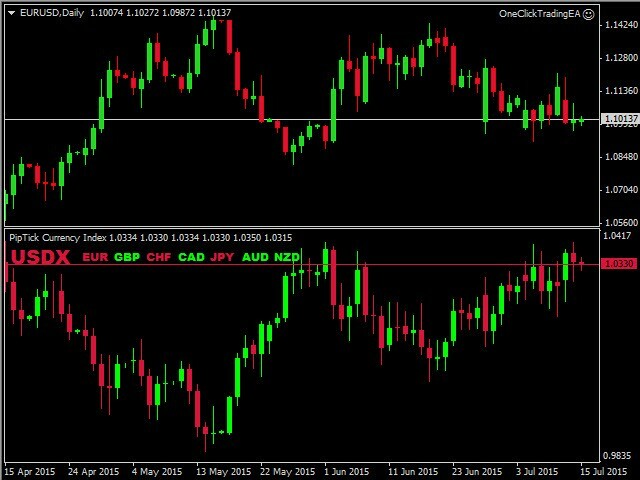 Basically, it is a weighted average of currency pairs values which form the crosses of index currency. 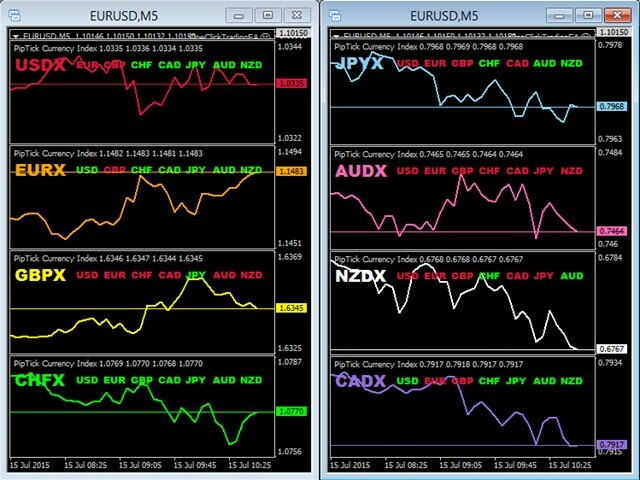 The default weights are based on the results of the BIS Triennial Central Bank Survey. 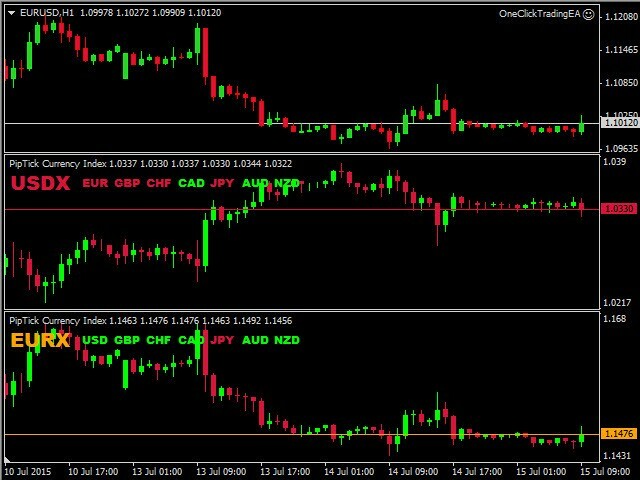 Because of this advantage, the trader can see the true strength and weakness of each currency. 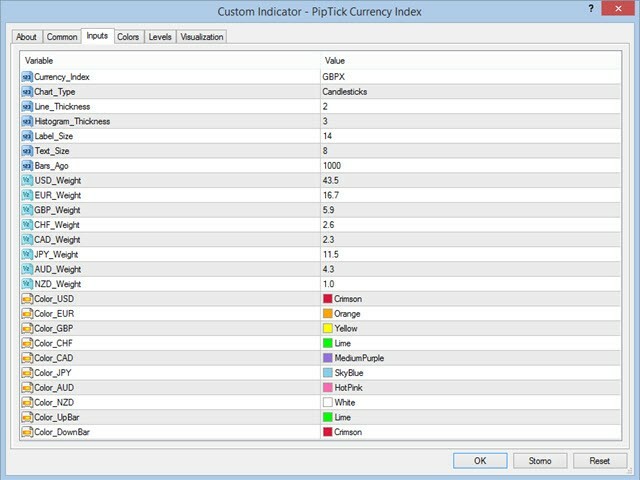 For more information, visit the PipTick Currency Index product page.